Allied Irish Banks (AIB), the parent company of First Trust Bank, made a profit of €1.25bn (£1.1bn) in 2018. That is down by 5% compared to the 2017 performance. The UK division of the bank, which contains First Trust, made a pre tax profit of £148m - up slightly up on £144m in 2017. Operating expenses at the UK division were down £8m, reflecting a fall in employees from 941 to 820. First Trust is one of the so-called 'big four' banks in Northern Ireland. It now has just 15 branches in Northern Ireland, half the number it had three years ago. The UK division increased new lending by 10% in 2018, primarily driven by First Trust. 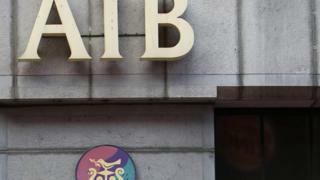 AIB, which is still majority-owned by the Irish state, said Brexit-related uncertainty appears to have resulted in postponed investment decisions by some business customers.